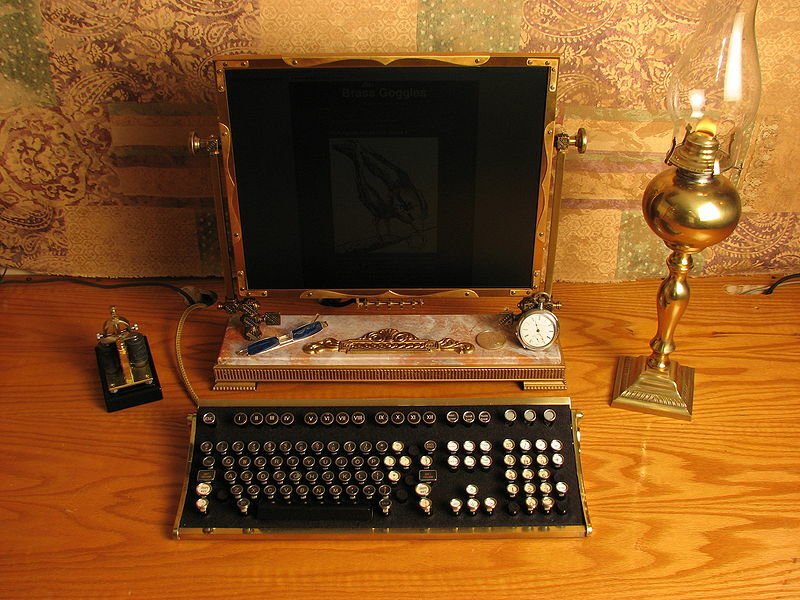 Intricately designed quintessential steampunk laptop, the clawed feet are sensible (for ventilation) and awesome. (Here’s a video of it in action!) Apparently it was made by someone who goes by Datamancer. This laptop comes with a Morse key. Interesting transition from laptop into portable typewriter. Beyond laptops, we need a steampunk laptop stand. I don’t know enough about whatever this is to be able to identify it, but it looks weird and interesting.